The Life of I: Enhanced Podcasts, MP3s, and Laughter! On Valentine's Day, many people were out with their significant others, dallying through some fine dining, a movie, and perhaps creating their own home movies after. 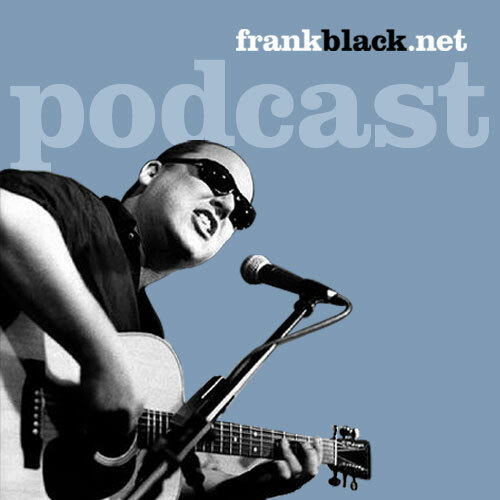 Aside from working at the restaurant that evening, I actually kicked off my first foray into the podcasting world: The Frank Black.Net Podcast. It's been pretty succesful so far, over 800 downloads at the time of writing, not even a week later. We had some an exclusive premiere of a heretofore unreleased Frank Black track from his next CD, Fastman Raiderman, which definitely helped. Anyway, today I'm debuting my own personal podcast as well, and that has me wanting to do it right. So it was with some dissatisfaction that I discovered the enhanced podcasts that enable you to skip sections and have graphics and URLs associated with them, can not even be created on my Windows XP PC. I resolved to do something about this. WARNING: It may get geeky. Read on at your own peril. As it stands right now, there are two types of enhanced podcasts. There is the ubiquitous Apple variety, which can ONLY be created on an Apple and must be either M4A or M4B file format. You need software that will encode the audio in those formats (instead of MP3) and then software that will create 'chapters'. Again, both of which are Apple only. There is also a Windows enhanced podcast, but it likewise requires the use of WMA files which can't be used on iPods and, to be honest, are a pain to make even if you wanted to. So, to offer broad support, I would need my podcast in both of those formats, plus MP3, that's THREE files for the same exact podcast. If I could just create an MP3 enhanced podcast, I thought to myself, life would be good and one file would be fine. So I did some looking around. ID3.org, it turns out, just released an update to their specification for the ID3 tags that give MP3s the ability to display artists, song titles, and so on. ID3 tags now support chapters! That means there is already a defacto standard for encoding the MP3 with chapter information, the standards people are on the ball. That's one less thing to do. There are two other things that must be done. The first is to get publishers of popular music software, such as WinAmp, iTunes, MusicMatch, et al, to recognize and handle these new features. This should not be a difficult update for any of the parties involved, but there must be demand for it. Currently, there is no software out there for creating enhanced MP3 podcasts. Which means that nobody out there is developing them, which means no demand, which means that it might be difficult to persuade mp3 player producers to incorporate those features. Now all you need is a player that understands the tags! Cheers, I will check that out right now, thanks!